Today's episode is really special because I'm interviewing someone who's work had a huge impact on my life and helped me find my inner voice again. I'm honored and thrilled to have Martha Beck on the show today. Martha is an author and a life coach and the book she wrote that helped me turn my life around Finding Your Own North Star still remains one of my top reads. You'll hear about Martha's amazing career path and how she became such an accomplished author. We ... See More talk about how we all put cultural norms over our own preferences and how because of that we often don't end up doing things that really feel right to us, things that are in our nature. 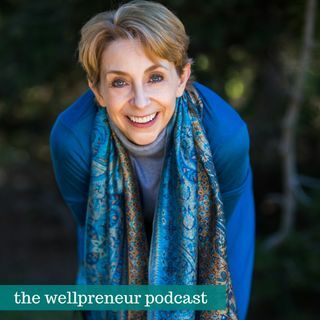 We go deep into conversation about how creation is a fundamental impulse of all humans and Martha's concept of Integrity Cleanse and how we can start tuning into ourselves and how many of us deep down know what they want but don't have access to that knowledge, and how to unlock that. We touch on epigenetics, transformation of human consciousness, her writing, and always believing and doing what you love can be more magical than you ever imagined + SO MUCH MORE! Join 4,000 other wellpreneurs in our Wellpreneur Community FB group: www.facebook.com/groups/wellpreneur/!